In 1893, this American nurse and social worker founded the Henry Street Settlement in New York City’s Lower East Side to serve the health needs of impoverished immigrants. In the process, she singlehandedly created the profession of public health nursing. 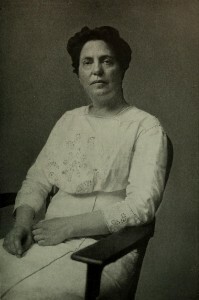 Her work with children’s health also prompted Congress to create the U.S. Children’s Bureau in 1912 to oversee and maintain national standards of child welfare.